The Mindfulness Project have a special vision. At their beautiful centre for mindfulness in Central London, the project have bought together a team of London’s best mindfulness teachers to create a true hub for learning to meditate and practice mindfulness. By offering a secular and evidence-based approach, The Mindfulness Project hope to teach their audience what meditation is and help make learning mindfulness meditation more accessible and relatable to a mainstream audience while keeping it real and meaningful. 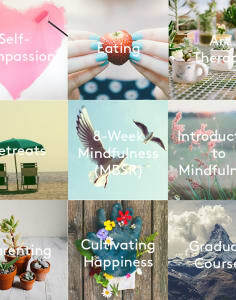 Founded by Alexandra Frey and Autumn Totton in 2013, the project are excited to be running multiple 8-week mindfulness based stress reduction (MBSR) courses on an ongoing basis, where participants can learn to meditate and the essential skills of mindfulness. The Mindfulness Project also offer more advanced courses, ongoing drop-in meditation classes, workshops, and seminars on mindful-living topics to help support all levels of practice. As a social enterprise, any profits generated through the Project will be re-invested towards the intended purpose of spreading mindfulness in London and beyond.